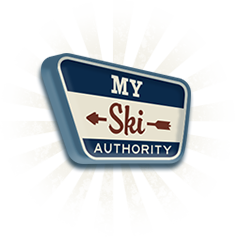 Welcome to Minnesota Ski Authority. Your Guide to MN Ski Discounts. Depending on what you know about the state, you may think the skiing in Minnesota is going to be unbelievable or hardly worth visiting. The cold, snowy winters make for great trail coverage and a long ski season, while the terrain can’t compete with more mountainous states. Local residents and ski enthusiasts know the truth lies somewhere in the middle. You don’t have to live a mile-high to find challenging runs, especially not with several major ski areas to choose from. Plus, with some of the development projects in the works, the skiing in Minnesota is set to take a big jump forward…and stick the landing. If you’re specifically looking for alpine skiing in Minnesota, the first place you’re going to want to try is Lutsen. On the north shore of Lake Superior, Lutsen Mountains Ski Resorts offers the highest vertical in the state. There are also six ski areas around the Twin Cities of Minneapolis and St. Paul. These are Powder Ridge, Hyland Ski and Snowboard, Afton Alps, Buck Hill, Mount Kato, and Coffee Mill. Each of these ski areas offer their own variety of trails, from the carefully groomed bowl of Coffee Mill to the straight runs at Hyland. When the snow arrives for the year, there’s always someplace for you to hit the slopes. Two ski areas are undergoing major renovations this year. Hyland Ski and Snowboard has a brand new chalet that is under construction and due to open for the 2015-16 ski season. Lutsen Mountains is currently in the midst of a $25 million dollar, ten-year expansion and improvement project. All of the slopes have snow-making machinery with 100 percent coverage. So even if there isn’t a lot of snow on the ground, the resorts will all be open for business. Most of the skiing in Minnesota is very close to a metropolitan area. This makes it easy for you to save a buck when it comes to lodging and food. It also means that it’s possible to get away for a day or two in the middle of a longer trip to the Twin Cities-area. And even if the Lutsen Mountains is your destination, there are still plenty of tips and tricks that will let you stretch your dollar. When you hit the slopes in Minnesota, you want to make your ski-cation last as long as possible. There are several ways to potentially save. This includes making your plans as far in advance as you can. Buy the small things, such as chapstick or sunglasses at your local supercenter. Rent your equipment online to save money and book through us to take advantage of a 20 percent discount. We deal with resorts daily, creating relationships that let us get the best deals. If you don’t find what you’re looking for here or if you have a very specific question or concern, write to us and we’ll tell you what we know. Let us help you make your ski holiday as stress-free and enjoyable as possible.